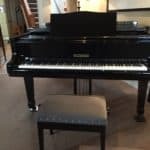 Thinking about your wedding music? Need inspiration in choosing the all-important entrance music that you will walk in to? 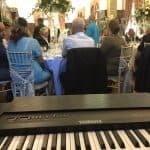 It’s the music everybody remembers – the soundtrack to that moment when your partner first lays eyes on you on The Big Day – and the music you will hear every time you think back to your ceremony. 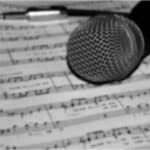 Songs are a part of life – and help define your life. So it’s crucial that you choose a song that embodies a period, person or place in your life and that special moment. 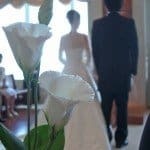 Selecting an appropriate wedding entrance song is an almost impossible task, because of the sheer wealth of music out there, and the number of competing memories. 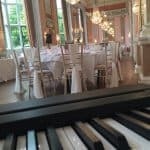 So here are over 200 different choices for entrance music, based on my decades of experience and over three hundred weddings. Think about the length of your aisle and how long it takes you to walk it. If you have picked a slow ballad, think how much of the song will be heard before you arrive at the front. If you need to, make use of an app like GarageBand so the right part of the song is heard, not just the intro. Is your aisle short? Will you be nervous when you make your entrance? Are you a fast walker? WAIT at least ten seconds after the music starts. Or send your bridesmaids and attendees in, slowly, one by one. If your dress is the length of Princess Diana’s, then you have ever reason to take your time. This can be played by a group of musicians, or a solo musician, but a canon is traditionally a “round”, like London’s Burning and Frere Jacques; it can stop at any moment, which is why it works so well as a Processional piece of music. Started life as a piece for keyboard instruments and for many years was thought to be by Henry Purcell, doyen of English composers. 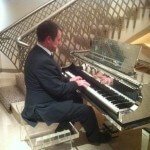 Played at Charles and Diana’s wedding. Check with your registrar before you use this, as music with religious connotations is not normally allowed at a civil ceremony – even if it is not sung! Bach’s Prelude in C (from the set of 48 he wrote), with a melody added by Gounod. See choice 3 above. Franco Zefferelli’s sixties film was such an enormous hit that this beautiful theme has stayed in the wedding top ten ever since. Normally played on the church organ, but registrars would have no problem with it in a civil ceremony oo. Not many know who the Queen was, but almost everybody knows this tune! 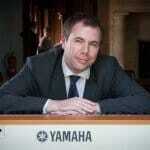 Simon Jordan is a pianist, violinist and music and radio producer who has worked on hundreds of weddings across the UK.